James Lackey, formerly senior vice president of the defense systems group at Quantum Research International, has joined Parsons’ federal business as VP for simulation and integration services. 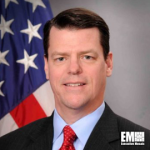 Parsons said Friday Lackey will manage a portfolio of hardware integration, intelligence and simulation development support offerings for the federal sector in his new position. At Quantum, he oversaw five divisions that offered support services to military clients. He previously held senior executive roles at the U.S. Army‘s Aviation and Missile Research, Development and Engineering Center and at the Pentagon’s Office of the Secretary of Defense. Lackey also worked at the Naval Air Systems Command for 25 years, which has included time as deputy assistant commander for acquisition.